This morning we woke up rather early. All exhausted from going through the tunnels in Jerusalem the night before, we drug ourselves to breakfast, onto the bus, and then enjoyed the long drive to our next destination. And by enjoyed I mean we all slept as much as we could. These kinds of trips are always so slammed with amazing things that it is hard to catch a break. Our first destination was the town of Sderot (Steer – oht). Sderot is literally less than a mile from the Gaza border, from where all the Palestinian shelling comes. Israel has one of the most advanced anti-missile systems in the world called the “Iron Dome.” It is capable of shooting down missiles while still in the air. This innovation has saved countless lives and gives more stability to life in much of Israel. However, because Sderot is SO close to the border, not even the Iron Dome system can protect it. The only solution for residents is to build bomb shelters to protect themselves. In fact, there is a warning system that detects the heat signature of rockets as they are launched. 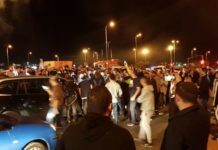 A siren sounds in Sderot, and the people of the town have about 15 seconds to get inside of a shelter before impact. Residents drive with their windows down to make sure they can hear the sirens. If one sounds, they must immediately find a safe place to hide until the impact. Schools are usually fortified, at least in part to protect children. 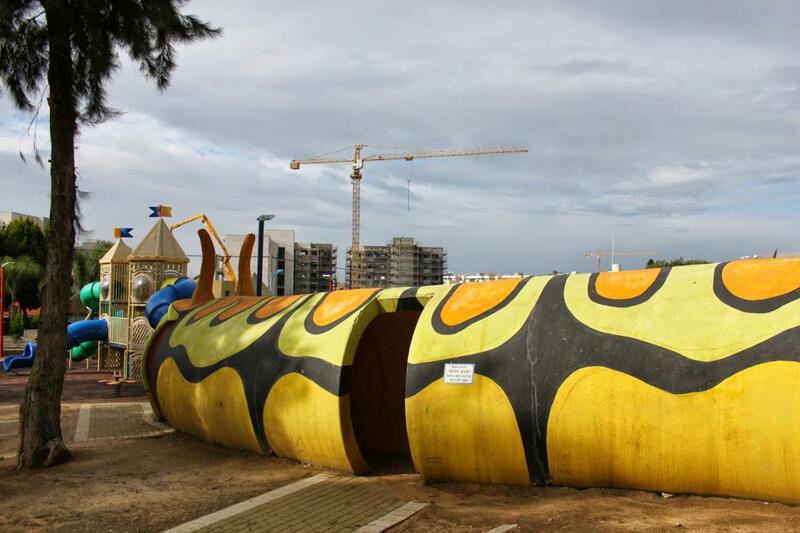 Bomb shelters are discretely built into pieces of playgrounds to protect kids in case of a siren during their play time. We were told horrifying anecdotes of parents having to flee their cars and having to decide which child to save first. We heard of an incident where children were forced to run into the school building on the first day of school because of a rocket siren. Our guide through this area, Noam Bedein, is the founder and director of the Sderot Media Center, which is the authority of all media for Sderot. 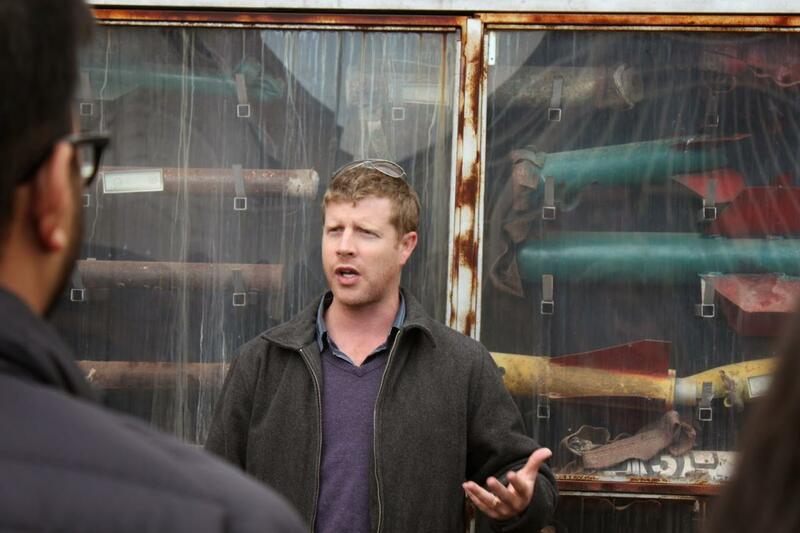 He informed us that in the past 9 years since Israel has pulled out of the Gaza territory, 24,000 rockets have been fired into Israel. 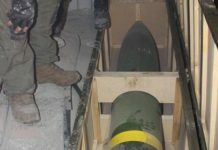 Of those, 8,600 have been fired into Sderot. Noam describes the lives of these people as a “Rocket Reality.” He explained that each bomb shelter built costs about $25,000. 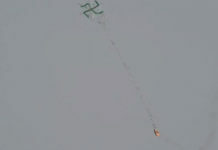 Moreover, a total of about 100 million NAS (Israeli currency, or $25 million) has been invested into the Iron Dome system. All of this money that has been invested in safety and defense could have gone to community development, education, or any more positive investment. 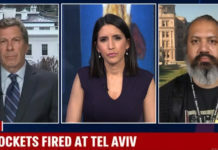 Yet because of the tensions with their neighbors, the Israeli government feels little choice but to continue to fortify and build up its defenses. 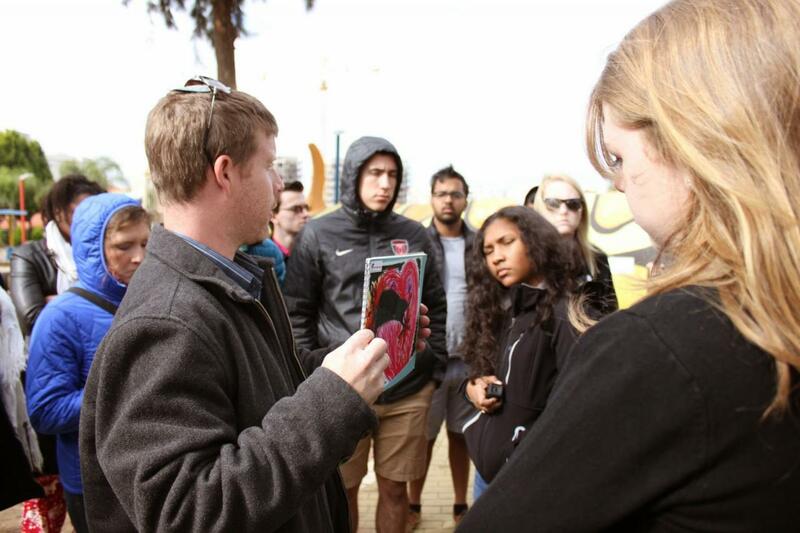 Noam explained that despite this adversity, Sderot is still growing. During our visit we could see cranes constructing high-rise apartments. 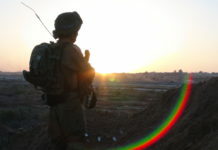 He said that the town of Sderot has become a hot bed for psychological study, as it has the highest concentration of Post-Traumatic Stress Disorder (PTSD) in the country. Noam also explains that with all the hardship that we can observe in Sderot, conditions for civilians in Gaza is likely much worse. Their government feeds off of the aid network set up to help those suffering, and there is little accountability for funds. 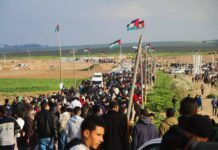 In fact, much of the concrete given to the Gaza territory to help it rebuild has been theorized to have been used in the creation of the Hamas tunnel network used to attack Israel. provisional shelter for children at play. so they can play with Palestinian neighbors. Needless to say, this morning of the trip was tough to swallow. 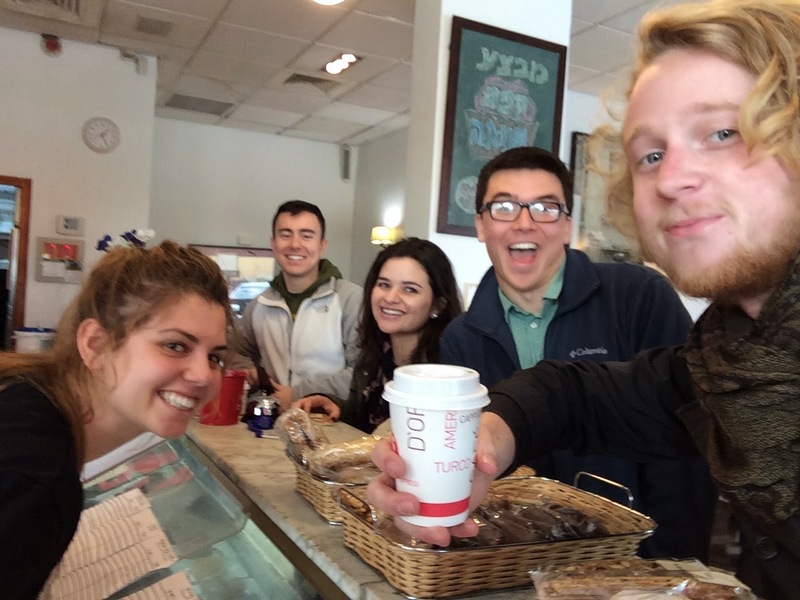 The whole time we spent in Sderot, it felt Needless to say, this morning of the trip was tough to swallow. The whole time we spent in Sderot, it felt like a calm before an impending storm. I think we all expected a siren to go off any second. The most recent siren had been less than a week before our visit. I cannot describe the sensation of being in that place.After meeting with Noam, we went to an indoor playground sponsored by JNF. This facility is meant to be a safe place for kids to relax after school. They had all kinds of games for all ages of children. The structure is also fortified with three or four different shelters, so that in the case of an attack, kids and easily get safe and then get back to their play. Speaking to some of the JNF staff there, it was gut-wrenching to think about how commonplace it was for the children’s play to be interrupted by these scares, and then for them to casually be able to run back to their games. We were even told of an anecdote where a girl exclaimed that it would be her turn after the next siren. We commemorated with a selfie. After lunch we drove out of the city to an area where we could stand on a hillside and see a large portion of the Gaza strip. On the hillside was a monument to a young soldier killed in combat. The monument was hanging wind chimes that could resonate with remembrance for the fallen. Nearby we could hear the steady gunshots of Israeli Defense Force soldiers practicing at a firing range. 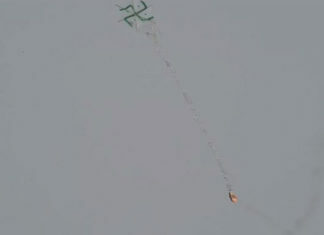 I couldn’t help but think this was intentionally set up close enough for the residents of Gaza to hear the firing. It was cold and very windy. Next articleWill the elections influence next Gaza war?